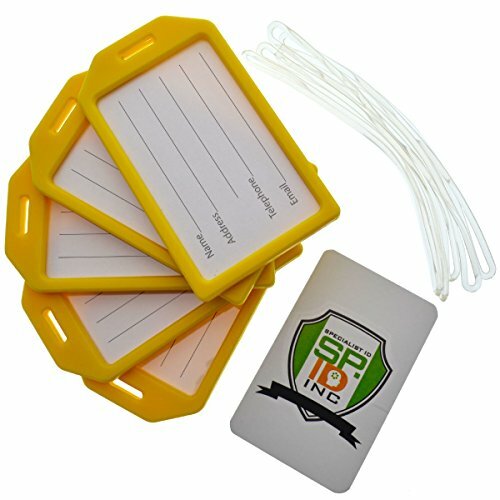 Our most popular luggage tags are now availabe in a family / bulk pack for greater. Get a matching set for your whole party to quickly identify your bags. These also make great backpack tags for student ID's as they display your choice of color on both the front and back. Vibrant colors on heavy duty hard plastic make this a time tested and very popular luggage tag holder. Clear window on the front and loop insert on top keep your info securely locked in. If you have any questions about this product by Specialist ID, contact us by completing and submitting the form below. If you are looking for a specif part number, please include it with your message.